EARRINGS - SARAH COVENTRY. 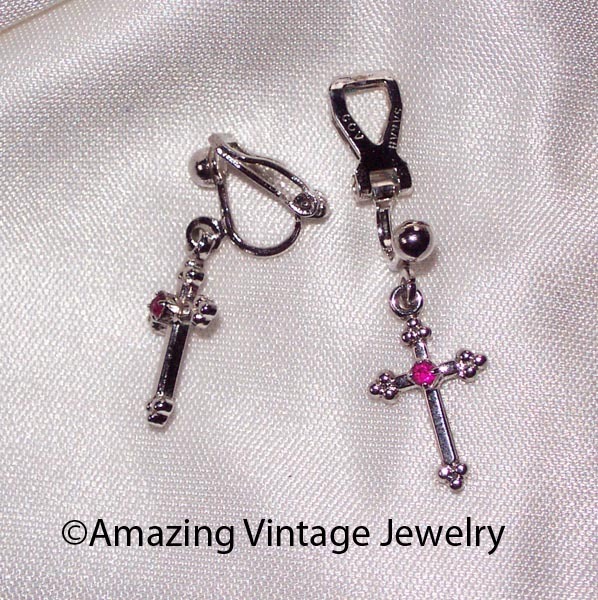 "CHARITY" FROM 1976 - INTRODUCED AFTER THE RING. 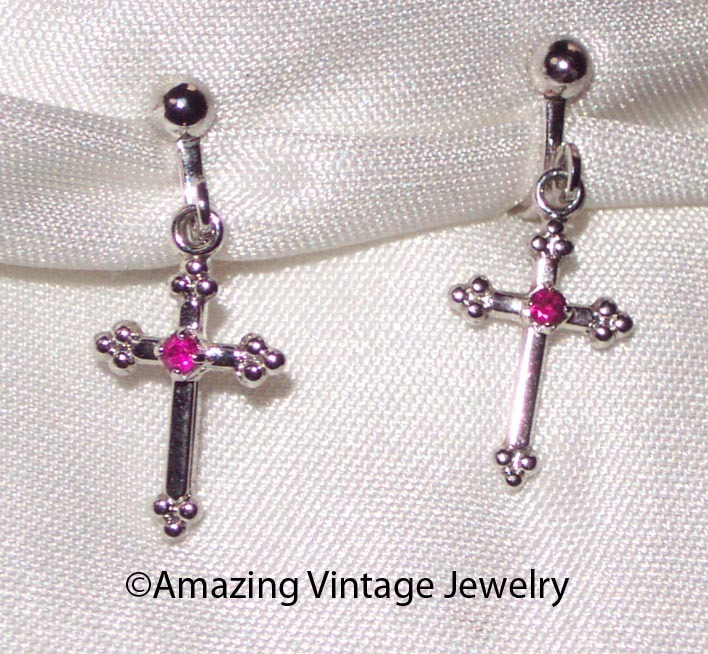 FEMININE SILVERTONE CROSS DANGLE WITH A TINY, MAGENTA RHINESTONE CENTER. CLIP. JUST UNDER 1" LONG, ABOUT 7/16" ACRLSS. VERY GOOD CONDITION. THE CLIP BACKS ARE UNIQUE ON THIS PAIR - DIFFERENT FROM OTHER SARAH COVENTRY CLIP BACKS, BUT ARE THE ORIGINALS AS SHOWN IN THE 1976 CATALOG.